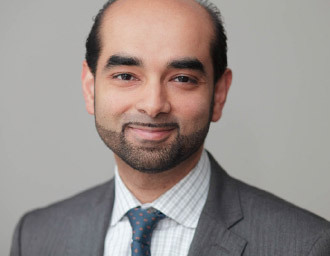 DR. WASEEM MIR IS BOARD-CERTIFIED IN RHEUMATOLOGY AND INTERNAL MEDICINE, LICENSED IN ACUPUNCTURE, AND HAS ADDITIONAL TRAINING IN AURICULAR MEDICINE, NATUROPATHIC MEDICINE, OLIGOTHERAPY, AND GEMMOTHERAPY. HE IS AN ACTIVE FACULTY MEMBER AT MOUNT SINAI MEDICAL CENTER AS WELL AS AT LENOX HILL HOSPITAL. Dr. Mir completed his fellowship training at Mount Sinai School of Medicine in New York. Prior to his fellowship, he received his Bachelor of Science degree with honors from New York University, NY and his Medical Degree from SUNY Health Science Center at Brooklyn, NY. He then completed Internal Medicine Residency at Lenox Hill Hospital, NY. After starting his Rheumatology practice, Dr Mir quickly realized that the methodology practiced in contemporary rheumatology—and to that extent, in general medicine—was not adequate for treating chronic diseases such as the autoimmune diseases he was seeing in his clinic. He was not satisfied with treating his patients’ external symptoms with multiple medications while the disease continued to cause internal damage. His quest for better options led him to study other disciplines such as acupuncture, followed by auricular, botanical and functional medicine. As a strong proponent of evidence-based complementary medicine, in combination with modern rheumatology, Dr. Mir provides a unique rheumatology practice. His “overwhelming compassion” and individualized attention sets him apart in the practice of medicine. He also has a strong academic background and affiliation that allows him to work closely with top specialists in New York in providing comprehensive patient care. His patients are well informed about their diseases and treatment options.